HelpUSA has been one of the leading providers of jobs, homes and services for America’s homeless. Services offered at HelpUSA include employment training and placement, life skills education, domestic violence counseling and childcare. HelpUSA provides the skills and services needed in order for the homeless to take control of their life and start a new beginning. Take action today by donating or volunteering. Become a part of one of the several of the programs HelpUSA has to offer! Visit HelpUSA.org for more information. 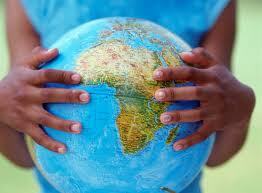 Africa is the second largest continent in the world, where approximately 1,500 languages are spoken. 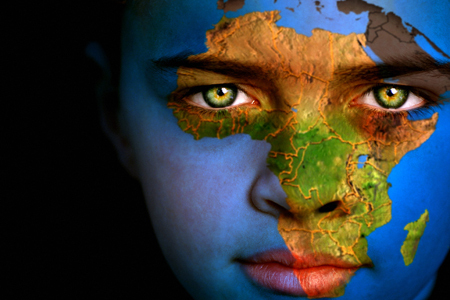 Africa makes up for 15% of the world’s population with approximately 1 billion people! With this large of population comes several issues including poverty and HIV/AIDS and lack of education. Fortunately, several charities in Africa are all dedicated to solving the complex inter related challenges facing Africa. Members of these charities have a passionate desire to help the people of Africa solve critical problems and build a better future for their children and communities. These organizations touch all aspects of the Africa community by distributing basic school supplies, medical aid and services, and basic necessities. Africa needs your help to stop this fight against hunger and common disease. Africa Needs You. Africa is the fastest growing region on earth and faces the most serious shortages of food and water. In 2010, approximately 239 million people in Sub Saharan Africa were considered hungry. Besides the lack of appropriate health care and nutrition, HIV/AIDS is a major health issues in Africa. In 2010, an estimated 22.9 people living with HIV in Sub-Saharan Africa. Approximately 90% of the 16.6 million children orphaned by AIDS live in sub-Saharan Africa. Tragically, the children of Africa suffer the most from this epidemic. There are fewer people with internet access in the entire Africa than in New York City alone. Nigeria is the most populated country in Africa with an estimated population of 125-145 million people. 27-28% of all children in sub-Saharan Africa are estimated to be underweight or stunted. 1 in 5 adults HIV positive, live in South Africa. 13 out of 15 million AIDS orphans living around the world, live in Africa. 67% of people with HIV/AIDS in the entire world, live in Africa. Half the population of Africa lives on less that US$1 a day. 72% of urban Africa’s citizens are home to slums. Average life expectancy in Africa is only 46 years. 5,500 people die of AIDS per day in Africa. If you make more then US $1 a day, and have electricity and a roof over your head and a bed to sleep in, you are more wealthy then 75% of people in the world. Africa Needs You. Help a charity for the people and children in Africa today. You can make a difference. Do you enjoy feeding the hungry? Working with underprivileged children? Assisting elderly people? If so, a human service charity is waiting for your help! Human service charities provide assistance, shelter, food and basic necessities for the elderly, homeless and the youth in need. These human services include social services, children and family services, youth development, shelter and crisis services. These services help our communities and people grow and live a healthy and happy life we all deserve. With your help you can become directly involved with providing these services! Check out the human service charities offered on your area and become involved today! Welcome to HowCanIHelp.org, where we make it easy to learn about different causes and charities around the world. HowCanIHelp.org is the ultimate go to place for ways you can get involved directly in the organzation you desire no matter where you are in the world. HowCanIHelp.org provides up to date relevant information of charities and organizations with direct and easy access to ways you can get involved in your community.